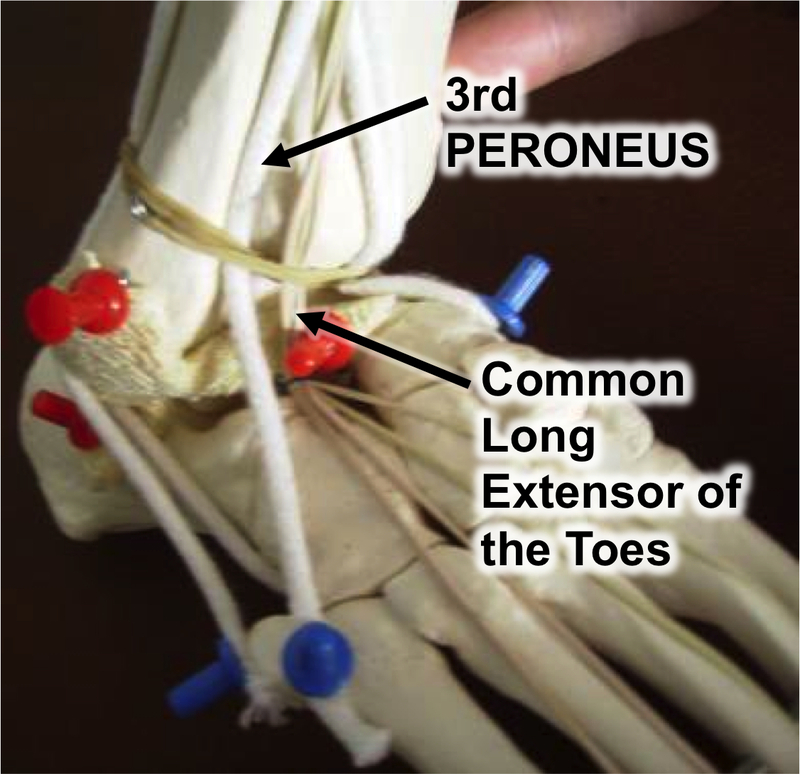 In my experience, it is the restoration of proper kinetics of the Common long extensor of the toes and the ankle capsule that is the most important for ankle stability, and to a lesser extent, the peroneus brevis and longus muscles, posterior tibial, toes flexors, and the Lateral Collateral Ligament (LCL). 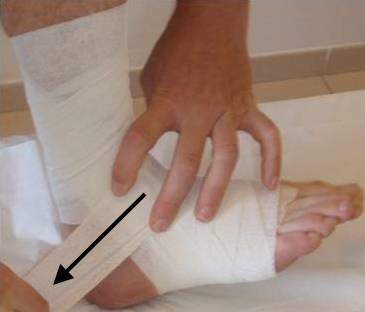 Pain on palpation of the anterolateral gutter of the ankle. 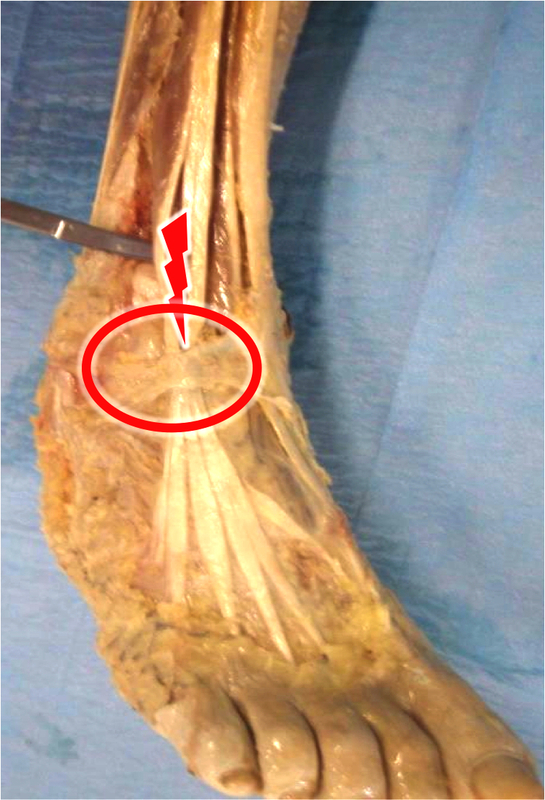 Upon inspection, the tendon of the common long extensor of the toes is less visible when compared to the healthy side. 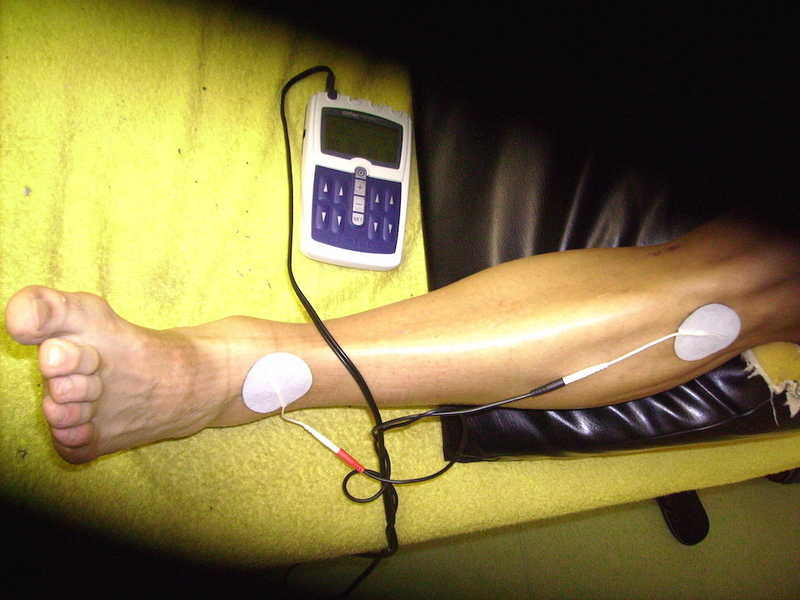 It contracts far less with electro-stimulation (ES). – or the anterior bundle of the lateral collateral ligament. 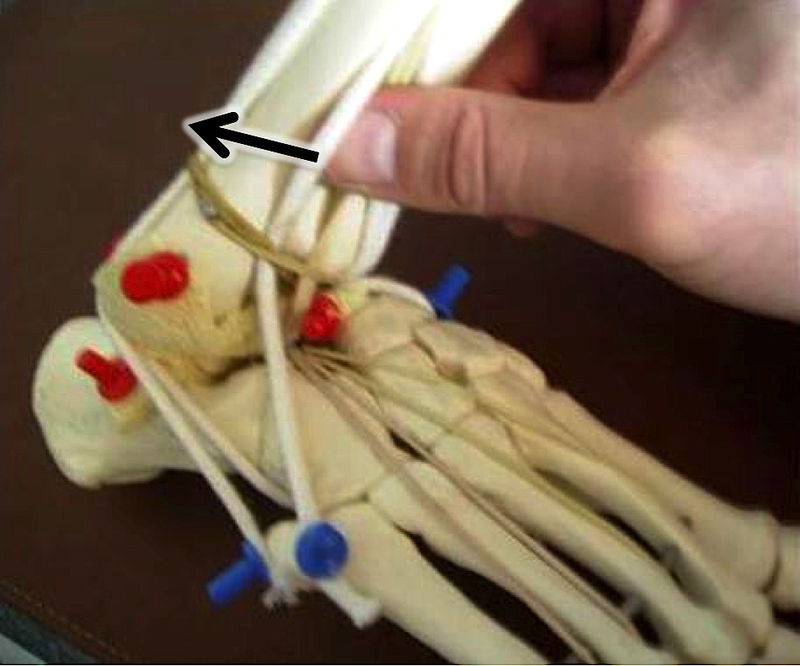 If the Common Long Extensor of the Toes is intact and the effusion moderate, the Adhesiolysis of the Common long extensor of the toes applied on all its painful length is only possible in a lateral direction, towards the fibula. 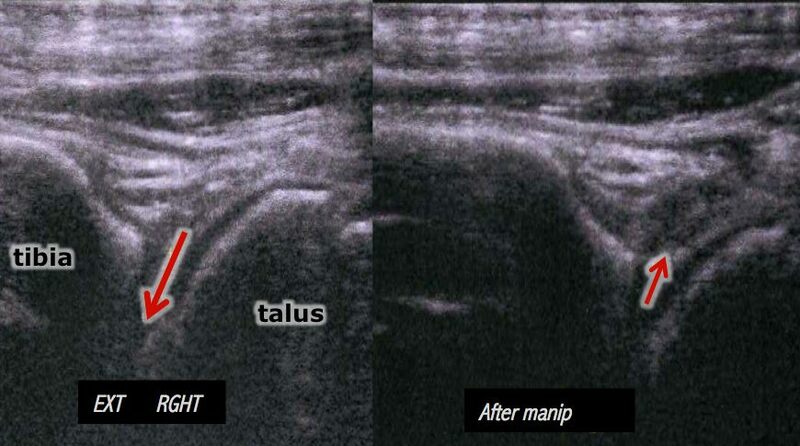 Of course, after normalization of the dysfunction of the fibular and tibial malleoli, the talus, navicular, and cuboid (which can be guided by the improvement of Common Long Extensor of the Toes contraction with Electro-stimulation during its mobilization). NB: an inferior subluxation of the fibular malleolus is only possible after the Manual Adhesiolysis of the Common long extensor of the toes. Sudden opening of the joint space → stretching of the capsule and during its violent closure, the space can trap a fold of the capsule → capsular fibrosis → decentering of the dysfunctional joint + pain in the joint receptors. Palpation of the anterior tibio-talar spacing is painful, dorsal ankle flexion is slightly limited and increases the pain. 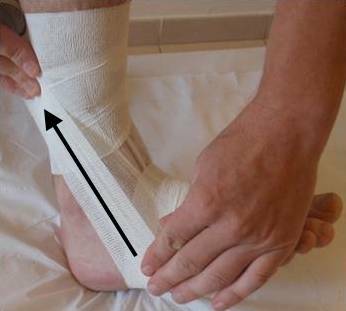 On the other hand, plantar flexion reduces the pain under pressure. Medial and lateral capsular entrapment are possible. 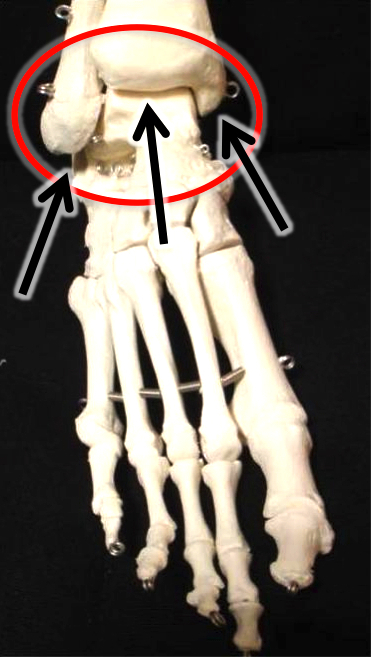 NB: if dorsal flexion relieves and plantar flexion aggravates the pain, the capsule is probably torn. Extended, the capsule is drawn into the tibio-talar space (due to a vacuum effect in the joint?) and in dorsal flexion, the capsule moves away from the spacing. If there is a dysfunction of the capsule, it always remains seated in the spacing. 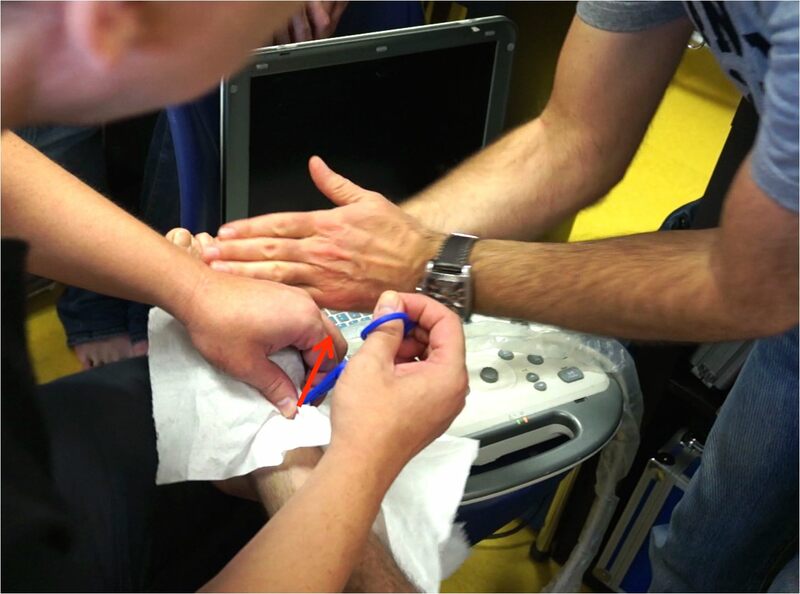 The release of the capsule can be performed with the thumbs, an erasor, or with a plastic Kocher clamp (especially for the medial and lateral capsule). 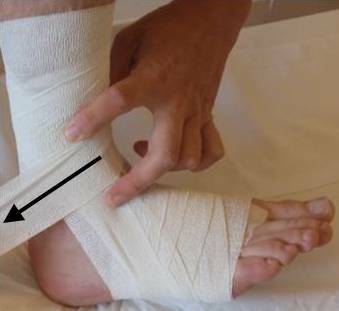 Warning: in case of an anterior-lateral trapping (capsular fold between the fibular malleolus and the talus), it is necessary to normalize any anterior subluxation of the fibular malleolus). NB: Before normalization of a posterior subluxation of the fibular malleolus, it is necessary to release any capsular trapping to avoid increasing the pain.